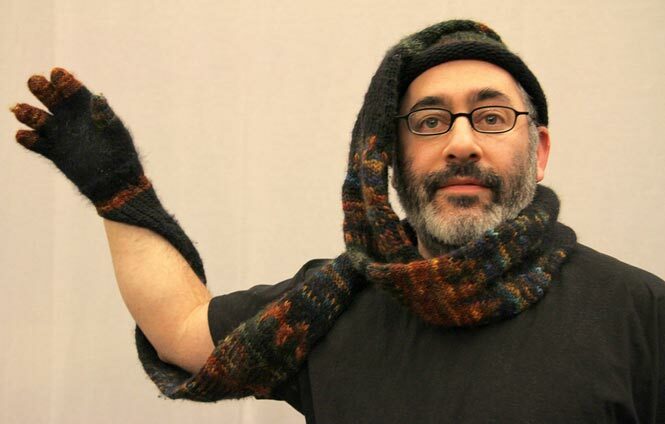 The Glharf (or Glarf) is a combination hat-scarf-glove which simplifies dressing for cold weather. The garment consists of a slowly tapering tube, approximately 7 feet (2.1m) long, which fits onto the head like a hat, wraps once around the neck, and admits the wearer's hand into the glove through a small side-slit in the wrist. The Glharf was conceived by Golan Levin, and knit in wool and rabbit yarn by Andrea Boykowycz in late 2004.